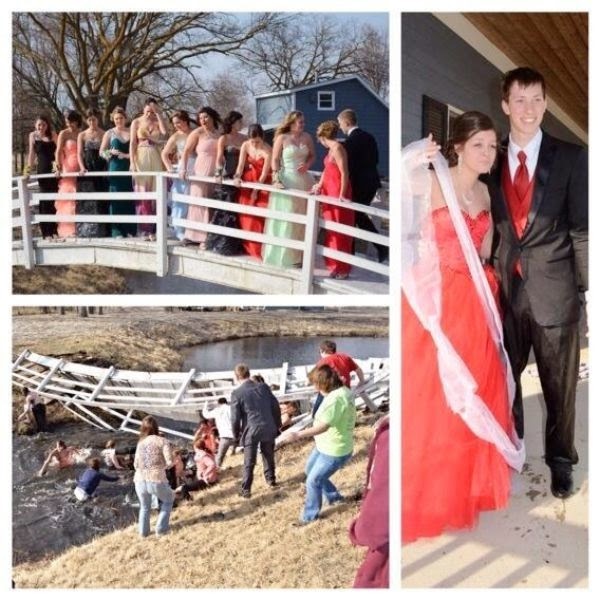 You could fall into a stream while trying to take a group photo. 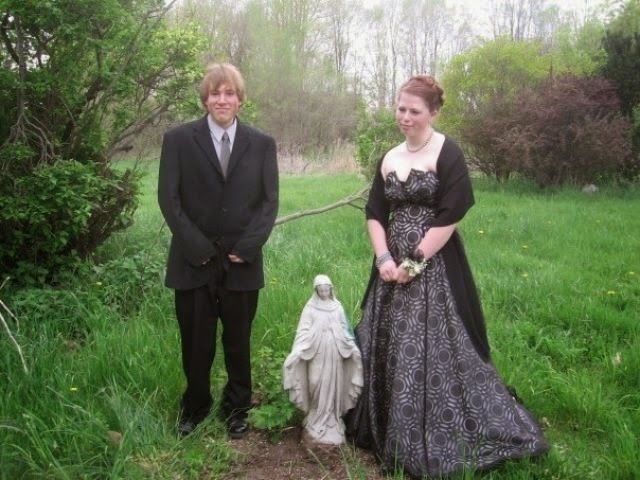 You could be forced to pose with the Virgin Mary. 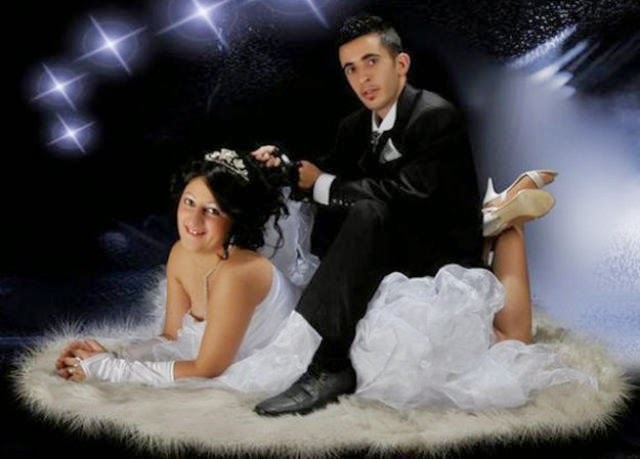 Or someone could sit on your back. 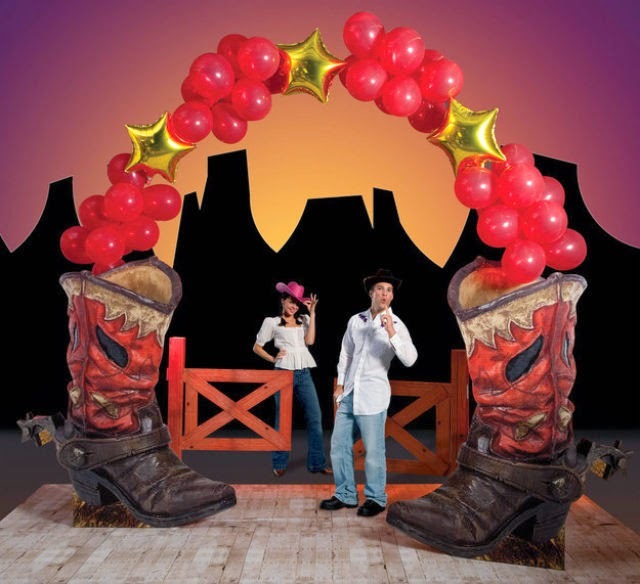 You could be forced to pose with giant boots against your will. 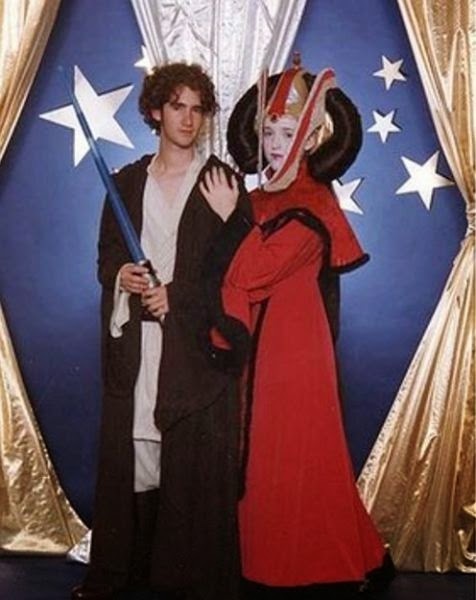 You might feel as if you’re in a galaxy far, far away. 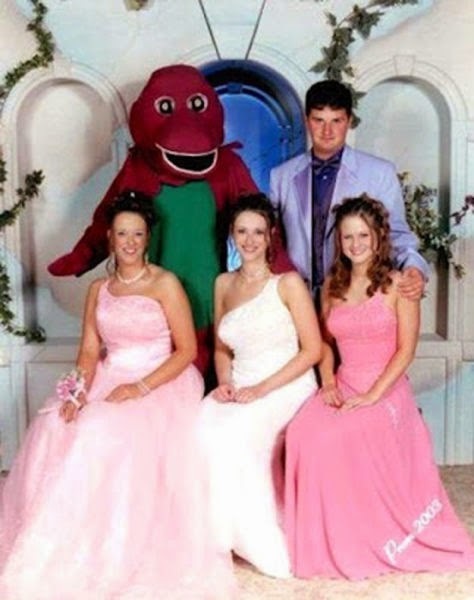 You might have to see this. 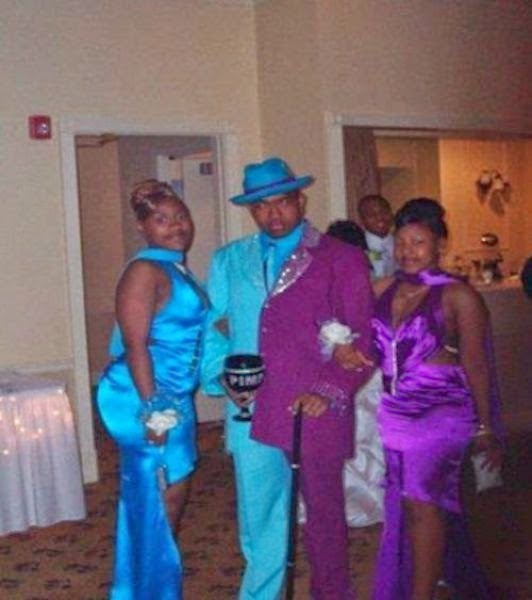 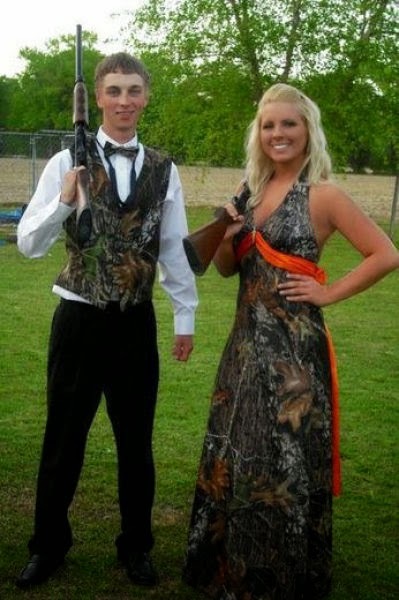 This couple could be at your prom. 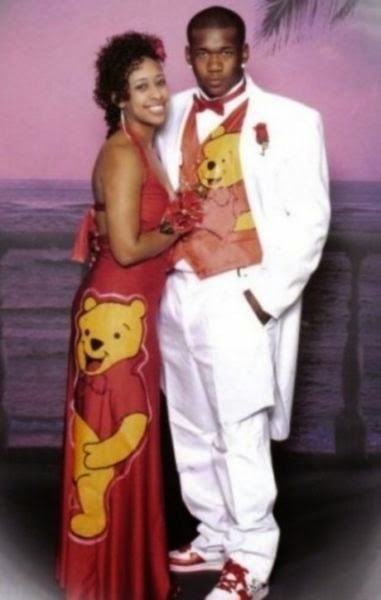 And so could this one. 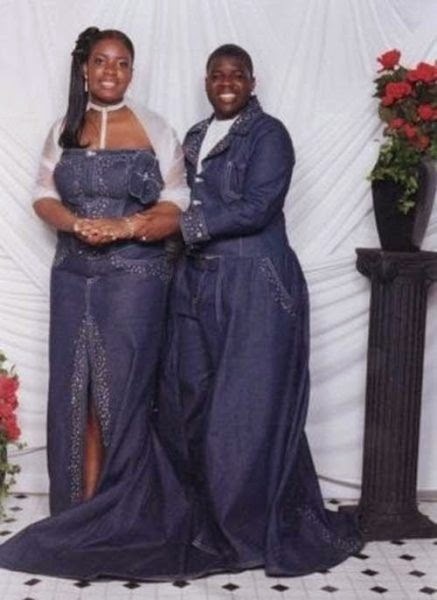 You might get unwanted denim rash. 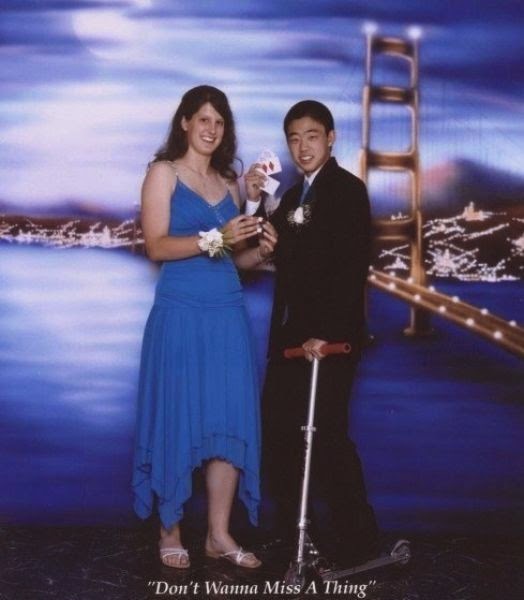 And your date might bring a scooter. 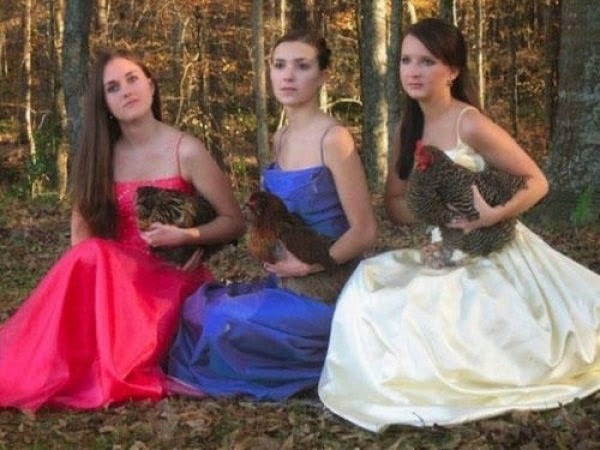 Your friend might force you to pose with her farm animals. 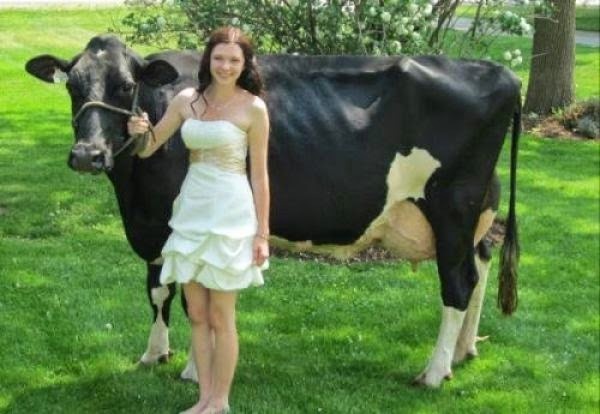 Or you might be forced to pose with a cow. 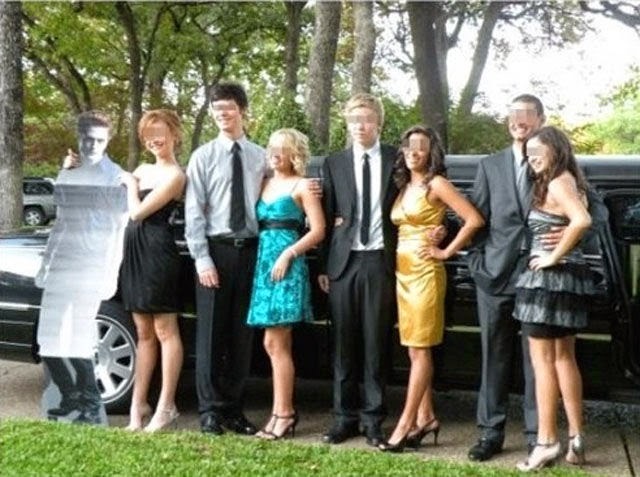 You might have to share your date. 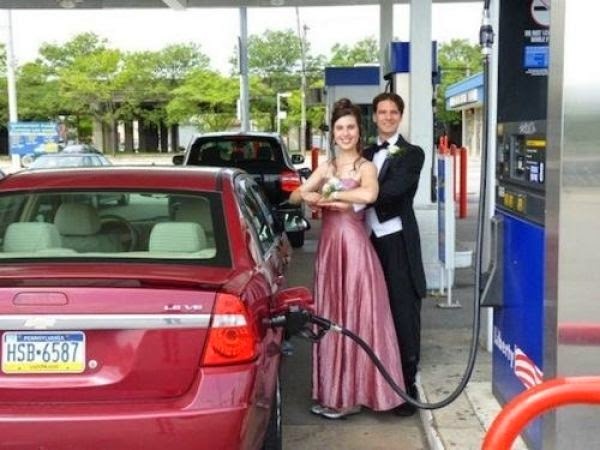 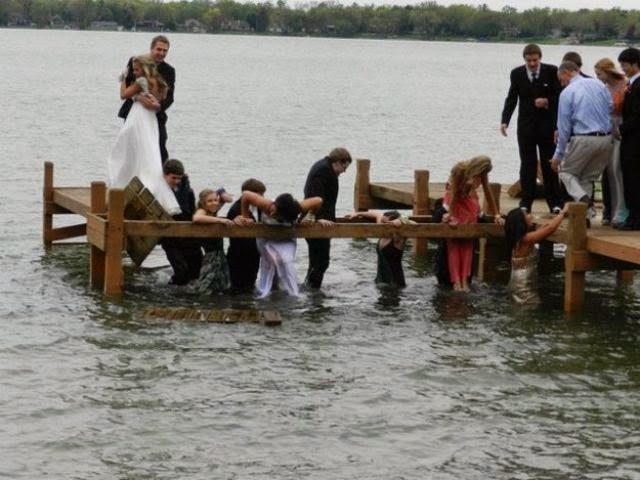 And someone might try to take a picture of you on the way to prom. 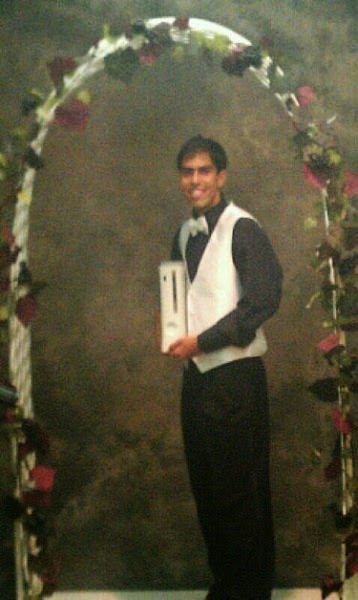 And worst case scenario, you might have to share the dance floor with an Xbox. 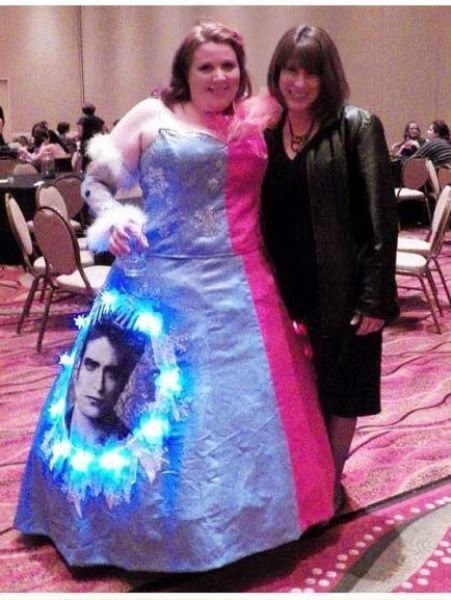 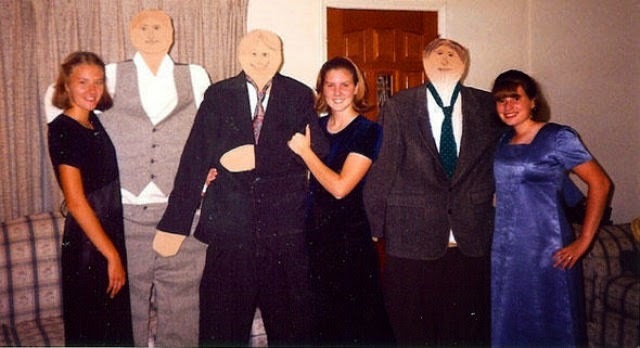 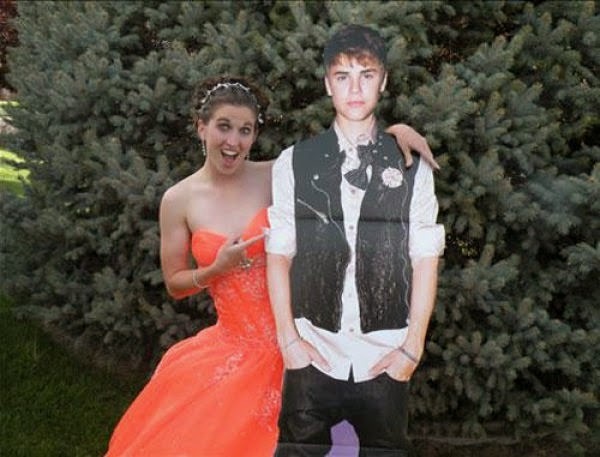 And so do Edward Cullen cut-out prom dates.